Ruling allows tenant to proceed with lawsuit against landlord, who is accused of not taking action against racial harassment. A divided federal appeals court in New York found that a Kings Park man had grounds to sue his landlord for not stopping another tenant from racially harassing him. Legal experts said the decision would strengthen the position of victimized tenants and spur landlords to intervene in similar situations. The 2-1 decision on March 4 by the Second Circuit Court of Appeals vacated a 2015 Eastern District of New York judge’s dismissal of Donahue Francis’ claims against Kings Park Manor under the federal Fair Housing and Civil Rights Acts and under state law. “It would make no sense for Congress to require landlords to rent homes without regard to race but then permit them to harass tenants or turn a blind eye when tenants are harassed in their homes because of race,” circuit Judge Raymond Lohier wrote for the majority. The decision sends the case back to the district court for reconsideration. The decision “establishes now beyond a doubt that a housing provider that has the power to do something about harassment that one tenant is taking against another … has to do something promptly to remedy the situation,” said Francis’ lawyer, Washington, D.C.-based Sasha Samberg-Champion. Francis, who is black, signed a lease in 2010 at the apartments on Ardito Avenue. His next-door neighbor, Raymond Endres, later made slurs about Jews and blacks within Francis’ earshot or directly to him, once saying “I oughta kill you," followed by an expletive and a racial slur, Lohier wrote. Francis repeatedly complained to management and Suffolk police, who arrested Endres for aggravated harassment in 2012, according to court documents. Management did nothing, Lohier wrote. Endres moved out of the complex in 2013 and later pleaded guilty to harassment, according to court documents. Francis still lives there, Samberg-Champion said. 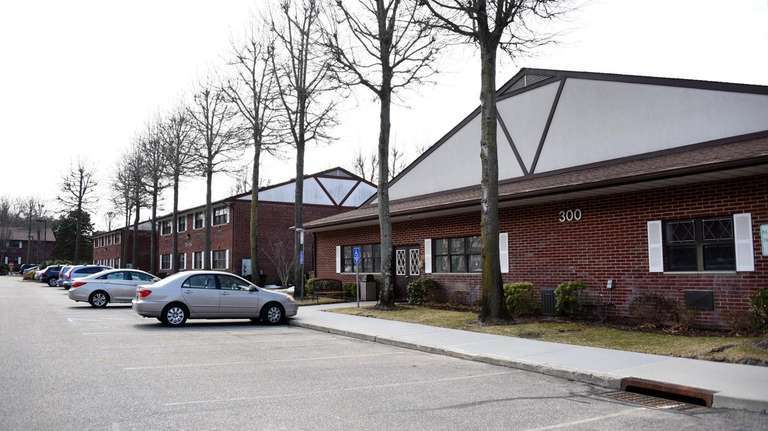 Stanley Somer, Kings Park Manor's Commack-based lawyer, did not respond to a request for comment. In dissent, Judge Debra Ann Livingston criticized the majority’s “novel and expansive theory of landlord liability” that could turn public housing authorities, co-op boards, block associations and real estate agents into litigation targets. Landlords have less power to correct a problem tenant’s behavior than an employer has over an employee, she wrote. Robert Schwemm, a housing discrimination expert at the University of Kentucky, said the decision was in line with others in recent years. But the case may not be over, he warned: “I read the dissent … as either inviting the landlord to go directly to the Supreme Court” or ask for a review by a full panel of Second Circuit judges. John Breslin, a Huntington real estate lawyer and landlord, said it was a "reach to put that burden on the landlord, that he has to control interactions between co-tenants." But Alexandra Alvarado, director of marketing and education for American Apartment Owners Association, the largest landlord association in the country, said the decision was a wake-up call for landlords who might want to avoid conflict and the expense of evicting a problem tenant. The decision “reaffirmed an important fair housing principle, that all people are entitled to live in their homes without being harassed on basis of race or any other category that’s protected” under the Fair Housing Act, said Susan Silverstein, an AARP attorney who wrote a brief in support of the plaintiff. AARP’s interest in the case is based on the idea that “people can age in place” and not be exposed to harassment, Silverstein said.